Located on the road to Skye between Loch Ness and Spean Bridge, Corriegour Lodge Hotel offers panoramic views and fine dining in the midst of the glorious Highlands scenery. Built in 1880 as a hunting lodge, Corriegour sits framed by nine acres of mature woodlands high above Loch Lochy. In this tranquil spot you can escape from the hustle of everyday life with a stroll around the gardens or along the private lochside beach (complete with jetty). The peaceful atmosphere continues throughout the hotel, where the warm welcome is infused with the spirit of true Highland hospitality. Each of the ten bedrooms is individually designed to complement the original period features of the building. Most of the rooms enjoy stunning views across Loch Lochy and the Great Glen, and all are fully equipped with free Wi-Fi access, flat screen TV, work desk, and tea & coffee making facilities. A highlight of any stay at Corriegour Lodge is dining in the acclaimed restaurant. Michelin Recommended and winner of the Eat Scotland Silver Award from the Scottish Tourist Board, the restaurant serves the finest quality produce sourced from the rich natural larder of the Highlands. The ever-changing seasonal menu includes Aberdeen Angus beef, freshly caught fish, king scallops, homemade bread and scrumptious desserts. The fine cuisine is perfectly complemented by the romantic setting: candlelight, log fires, big comfy sofas and expansive windows overlooking the beautiful surroundings. 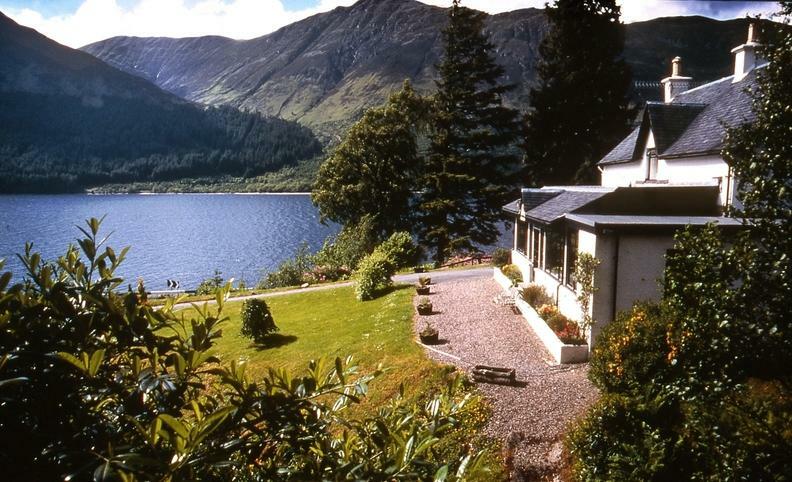 Corriegour Lodge Hotel is at the heart of all the magnificent scenery of The Great Glen. Lovers of the outdoors will find ample opportunities for walking, cycling, pony-trekking, climbing, fishing, sailing and much more besides. Within easy travelling distance are the imposing ruins of Urquart Castle, the fairy-tale romanticism of Cawdor Castle and the iconic majesty of Eilean Donan Castle. Other attractions include the National Trust for Scotland Centres at Glencoe, the Glenfinnan Monument and Inverewe Gardens, various Clan visitor centres and the West Highland line stream train (the original Harry Potter train).